September | 2010 | What about this? Some people exercise. Some people eat. And some people take naps, but I clean my house. This is my form of procrastination. At least that was the case yesterday. Yesterday was my Give a Mouse a Cookie day. In Laura Numeroff’s popular children’s book, a little boy gives a mouse a cookie, which leads the mouse to wanting a glass of milk, which in turn leads to a whole host of other adventures until they are right back at where they started – needing a cookie. Here’s my scenario of yesterday: After taking a morning walk with my hubby and my chubby (my little dog), I sat down and updated my “To Do” list while eating breakfast. With so many projects to start and so many that required additional attention, I needed to prioritize my list. As I thought about the order of my list, I went outside to refill the bird feeders. While I was doing that, I spied some oak leaves and acorns in the swimming pool that had to be removed before they left stains. Since I had the pool net in my hand, I figured I might as well scoop up the leaves that had fallen into the fountain, which reminded me that I wanted to do research on bird-safe algaecides. By the end of the day, when my husband came home from work, I had segued into cleaning out my son’s room and converting it into a sewing room. That scenario is an example of productive procrastination. A lot of projects were completed, but most weren’t on my “To Do” list. What was so horrible or dreadful on my list that I spent the whole day trying to avoid? Nothing really. Looking at my list and noting the tasks that had been left undone, I’m not surprised to see what remained. Big jobs were tackled, small ones were left undone. The tangible, time sensitive ones were completed, where the intangible, open-ended ones were not. Were any of the remaining tasks creatively boring or repetitive, the kinds that once you finish, you have to start all over again? No. Honestly, the remaining tasks were comprised of put-yourself-out-there ones, take-risks ones, or follow-through-because-you-can-do-it ones. What I’ve learned about myself is that, although, I’m a creative idea person, it’s difficult to follow through and execute all of my ideas. Admittedly, some of my ideas are so grandiose, like creating and maintaining this blog or developing Desideri, my personalized affirmation jewelry line, that they are intimidating. But, nonetheless, I catch myself procrastinating (organizing and cleaning) instead of doing (taking my ideas to the next level). In trying to figure out causes for my procrastinating ways, I’ve not only managed to come up with a few theories, I’ve also managed to procrastinate more. Consider that, for me, the excitement is only in the conception of an idea and not the execution of it. Or perhaps after one idea is hatched, I become bored and must move on to the next one. Taking that a step further, maybe the sheer number of ideas that pop into my head overwhelm me and cause creator’s overload. The most sobering thought, though, is maybe I procrastinate because I’m afraid of failing? That’s a hard one to swallow. While I work through all of this in my head, I think I’ll go clean out the refrigerator! Readers – I would love to hear your reasons for procrastinating or what prevents you from doing what you really should be doing! Leave me a comment or send me an email! Division of labor – that’s what I call it. In this household, I marinate the meat and he, the hubby, grills it. Works out pretty well as long as the meat being grilled is not chicken. My kids claim they have iron stomachs because of their dad’s barbecued chicken. For some reason my hubby either serves us chicken that has been grilled to a perfect black or chicken that can still walk. Fish, scallops, prawns, steaks, burgers, roasts, and even turkeys have been successfully grilled by him, but oddly there seems to be no in between mode when it comes to chicken. So here’s a yummy recipe for grilled flank steak! The marinade would also work with other cuts of beef, such as hanger or skirt steak, or with other types of meat – even chicken! Enjoy! 1. In a blender, put oil, soy sauce, scallions, garlic, lime juice, red pepper, cumin, and sugar and puree mixture. 2. Put flank steak in a large Ziploc-type bag and pour marinade over it. Make sure marinade covers meat thoroughly. Seal bag, removing as much air as possible and refrigerate for at least one hour in refrigerator. 3. Remove steak from bag letting marinade drain off. If a lot of marinade is on the meat, gently pat it with paper towels. 4. Cook steak on hot grill for a couple of minutes on each side. Don’t overcook flank steak or it will become tough. When finished cooking, wrap meat in aluminum foil and let sit for 15 minutes. 5. Remove meat from foil, reserving foil and juices. Slice meat thinly across the grain. Return to foil pouch and toss with juice. 6. 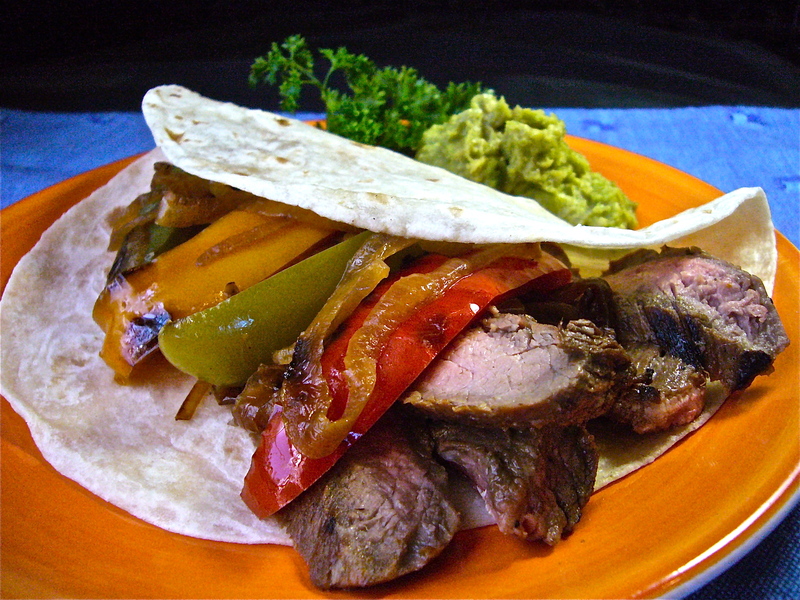 To serve as fajitas, serve meat with grilled onions, grilled peppers, and tortillas. Yesterday morning while washing my breakfast dishes, I looked out my kitchen window and saw, just yards away from me, the most beautiful hummingbird. 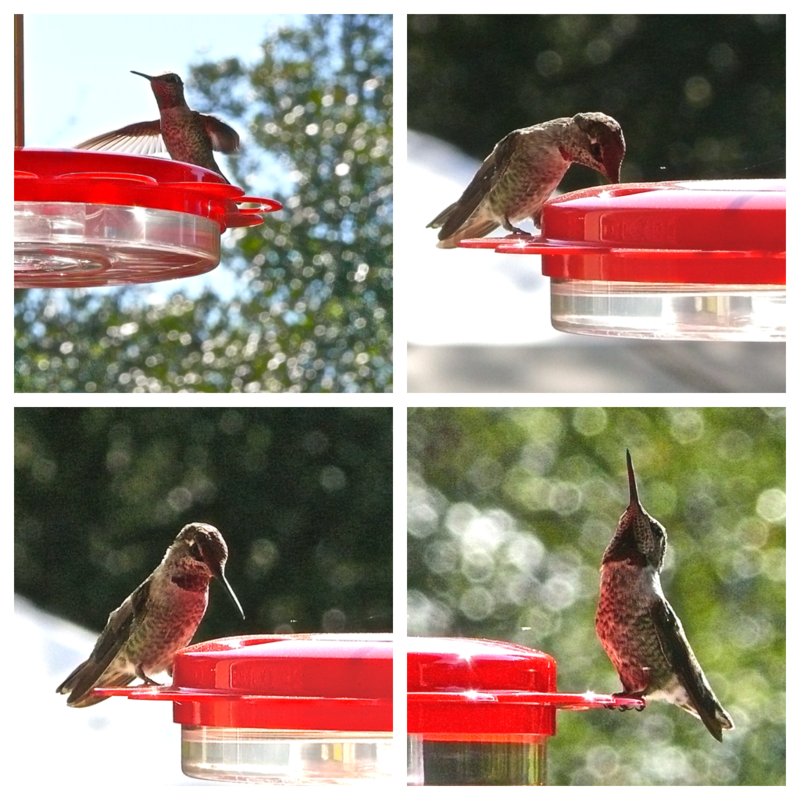 I ran and grabbed my camera and with one arm propped on a compost bin and the other on the sink faucet, I waited for more hummingbirds to come. Because they are quick and skittish, they are tricky to photograph – but good things come to those who are patient! #1 – Modern Day Etch A Sketch? If you enjoyed playing with your Etch A Sketch when you were young, you will love this site. As a kid I was a horrible at Etch A Sketching, but this morning I had to pull myself away from creating more colorful designs. This site presents you with a blank page that has circles gliding around it. Drag the circles to see what colors and patterns appear. There are 20 “tools” at the bottom of the page for your creative enjoyment! Take a study or coffee break and create a masterpiece! Tune up your auditory processing today! At the same site as above, there is a link to a sound memory game. Click on a square and listen to the song and then click on another square to see if you’ve found the musical match to that song. #3 – Check Out These Rocks! No, they are not diamonds, sapphires, or rubies, but some equally amazing rock formations. An article in Mental Floss features a short photo essay on some incredible natural stone formations around the world and the folklore that surrounds them. According to an article in Woman’s Day there are 7 Foods That Boost Every Type of Bad Mood. Who knew that if you feel sluggish you should eat a spinach salad or if you are cranky, you should eat an apple with peanut butter? Does that mean that if you are stressed, sluggish, cranky, anxious, angry, and sad because you have PMS, you have to eat all the foods listed? “I’m looking for the other side of this earring, if anyone’s seen it,” a woman said as she sorted through stuff at a recent peddler’s fair. 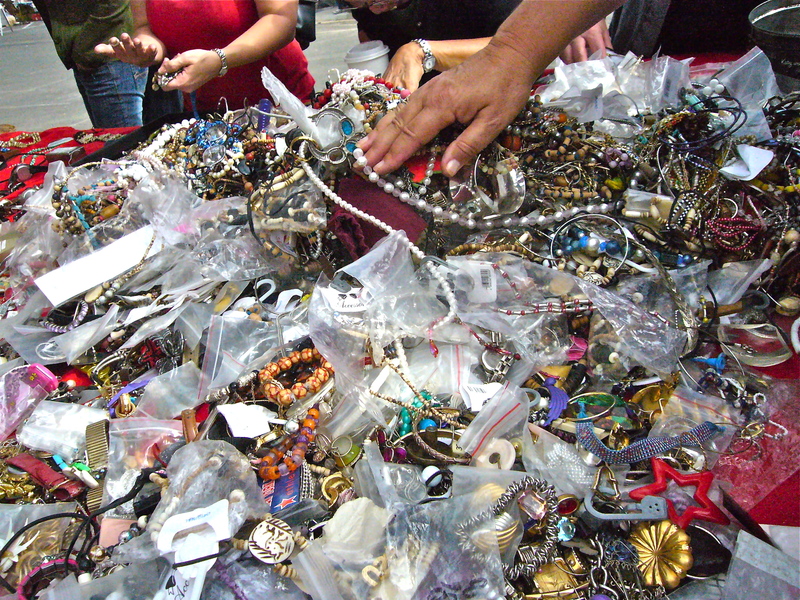 A small swarm of women hunched over tables and dug through tangled piles of new and used jewelry in hopes of finding treasures at $1.00 a piece. Camaraderie developed amongst the women as they called out their requests and admired one another’s finds, but behind their backs a few onlookers shook their heads in disbelief. Obviously, to some people this stuff was trash, but to others it was treasure. All truth be told, I, too, am attracted to tables of treasure and peddler’s fairs. My husband and I have fun perusing the tables as we stroll through the booths and take trips down memory lane. The crafter-decorator-creative recycler in me has a difficult time ignoring some of the purchasing opportunities, but basically, as much as I enjoy the “thrill of the hunt,” I most enjoy the open air history lessons. Bits of history, in all shapes and forms, are on display at peddler’s fairs. If you want to learn something about the history of toys, kitchen goods, garden equipment, furniture, tools, advertising, and just about anything else, a peddler’s fair is a good place to start. Whether you eavesdrop on conversations or converse with vendors yourself, there is much information to be learned. For the most part, vendors are very knowledgeable about their ware and some, when asked, will tell interesting stories about their pieces. As I look at items I wonder: How old is this? Where did it come from? Who made it? What is it made out of? How was it used? As I work my way through booths, I make mental notes about what I’ve seen, what I’ve learned, and the relative value of items. Because old things have back stories that new things do not, I became a collector of random old things. It isn’t a regular addiction, but every now and then something special calls out to me, such as an old wooden Chinese cookie mold or a silver spoon engraved with my husband’s initials. I once thought everyone revered old things, but I learned otherwise when I bought an antique quilt several decades ago. A pretty hand-stitched quilt, made from old flour sacks had caught my eye during a trip. It was extra special because it had been “signed” by the woman who constructed it. I wondered about this woman and the story behind this quilt. Later, when I mentioned my prize purchase to my sister, she said, “Ewww, it belonged to a dead person!” That was the first time I realized that antiques and possessions formerly owned by other people were not considered treasures by everyone. My home is warm, homey, inviting, and cluttered. The people in my home are not the only occupants who have stories to tell. In every room there’s some found object that tells a story. Even though I’m attracted to the clean look of minimalist, contemporary-styled homes, I could never be happy in one. After all, where would I put all my treasures? For some reason, bouncing my kids up and down on my knees and reciting this little nursery rhyme with them always brought smiles to our faces. Smiles because we were being silly and having fun, but also because the mere mention of cookies made us happy! In a post I wrote last week called The Way We Were, I mentioned that one of my sons and his girlfriend just bought their first home. I wanted to give them a little gift – something that somehow always makes a house a home – so I bought them a cookie jar! 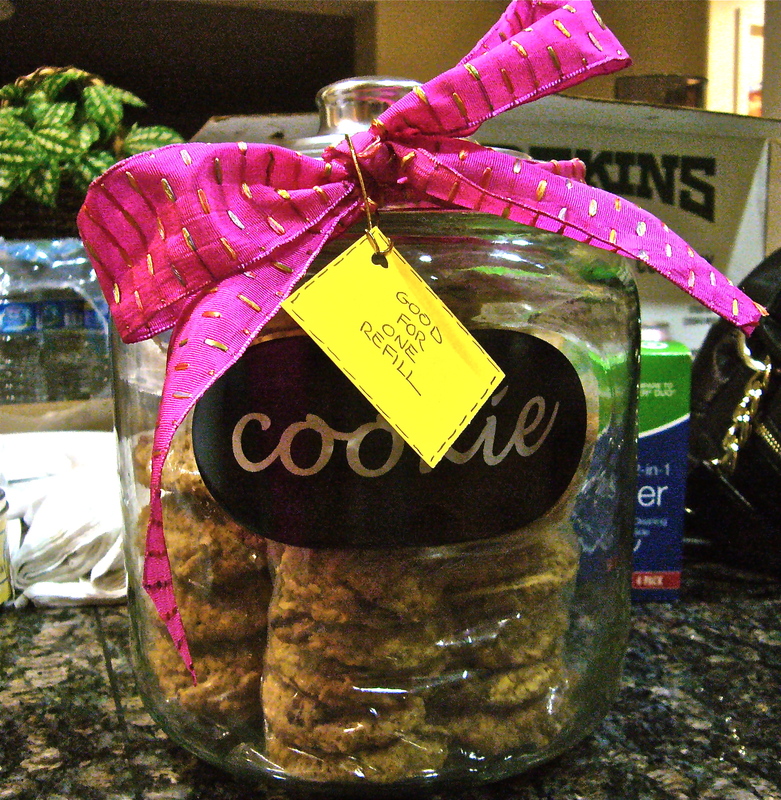 After baking three different types of cookies, I filled the jar, tied a bow on it, and then attached a tag that read, “Good for One Refill.” Many old friends and new neighbors have come by to say hello to the proud new homeowners – some even bearing gifts of much welcomed plates of cookies. How perfect that my son and his girlfriend already have a cookie jar in which to store them! My only question is, why isn’t a “Cookie Jar” called a “Cookies Jar”? Who stores only one cookie in a jar and who can only eat just one cookie? Here’s a good, basic oatmeal cookie recipe that I got from a friend many years ago and it’s one of the cookies I made for my son’s new cookie jar. 1. Beat together butter and sugars until creamy. 3. Combine flour, baking soda, cinnamon and salt together. Stir into butter-egg mixture. 4. Stir in oats, Craisins, and nuts. Mix well. 5. Drop by the tablespoons onto an ungreased cookie sheet. 6. Bake in a 350 degree oven for 10-12 minutes. For two years straight, my front door shrubbery was selected by hummingbirds as nest-worthy. My children were young then and were fascinated by the tiny nests made from spider webs and lichen. As to not disturb the nest, we observed the Jelly Belly-sized eggs via a hand mirror’s reflection. Eventually, the eggs hatched and the babies grew. One by one the babies seemed to fly away without any of us noticing. Then one afternoon we walked out the front door just in time to see the last little one perched on the edge of the nest, teetering a bit, waiting to take off. And just like that, he was gone. We felt sad to see “our” little birds leave, but were happy to see another nest in almost the exact same spot the following year! My fascination with hummingbirds has continued through the years and because I live in an area where we have hummingbirds year round, I make sure their feeder is kept clean and full. According to Hummingbirds.net and my local bird store, it’s not necessary to buy commercial “nectar” mixes. These birds get all the nutrition they need from flower nectar and insects they consume. They do, however, get quick energy from ordinary white cane sugar – fuel for going after bugs. 1. Add one part sugar to four parts hot water (boiled water optional). Store surplus in the refrigerator. 2. Never use honey to sweeten your nectar! Honey harbors a fungus that is deadly to these delicate creatures. 3. 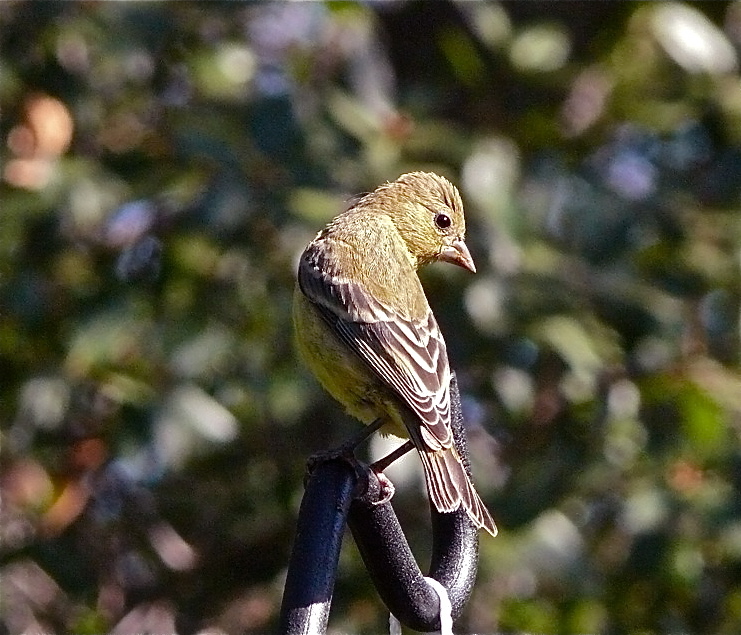 Never use food coloring in your feeders. 4. Nectar ferments rapidly. Clean and refill daily when temperatures are over 100 degrees; at least twice weekly during cooler weather. Avoid placing your feeder in the afternoon sun side of your house. Whenever my husband and I take road trips or even just car trips for more than a few hours, we always take along a small ice chest. We never know what tasty morsel might be procured along the way or better yet, what leftovers mom and dad might send home with us! Plus, we like to have bottles of water to sip on during the trip. Instead of using space-consuming ice packs, I freeze a few water bottles and throw them into the ice chest. It’s a two-for-one deal: The frozen bottles keep everything nice and cold in the ice chest, but the defrosted bottles quench our thirst! The best way to freeze the bottles is to lean them against something in the freezer so that the water freezes at an angle (air space is redistributed). Not a biggie, but freezing water bottles standing straight up creates bulging bottles that don’t stand up on their own! Even when we take our refillable water bottles on trips, I still pack frozen water bottles in the ice chest. Often times the same unopened water bottles get frozen over and over gain. If a CFL bulb breaks in your home, should you be concerned about mercury exposure? Here’s an article by Helen Suh MacIntosh, a professor in environmental health at Harvard University, that answers the question. This You Tube video on Furoshiki gift wrapping demonstrates the versatility of Furoshiki. Furoshiki are reusable Japanese wrapping cloths that can be used to transport clothes, gifts, or other goods. The video shows how to wrap books, bottles, chocolates, and how to make a bag. “How long are you going to stay?” I asked my oldest son who was home for a visit. Sitting on the family room sofa with his eyes glued to his laptop computer and his fingers rapidly moving across the keyboard, he nonchalantly said, “Only a couple of days. I have to get home.” For a split second I wanted to say, “Wait . . . this is your home . . . ” but I caught myself and calmly replied, “Okay.” Intellectually, I knew what he said was true – he hadn’t lived here for some time – but emotionally it was hard for me to digest. For some reason I hadn’t seen it coming; I hadn’t prepared myself for the day when my children would no longer consider this family home their home. That particular conversation took place several years ago and now I find those same emotions beginning to resurface. A rubber skeleton, four years worth of high school prom photos, a pair of gold sneakers with wings, ceramic projects, a blue rope light, stacks of college books and papers, and a closet full of clothes no longer worn are all that’s left in my second son’s room. As I searched his room for things that I could pack and take over to his newly purchased home, reality hit me again. His room, this once messy boy’s room, is no longer just that and this home, this once chaotic, busy home, is no longer his home. 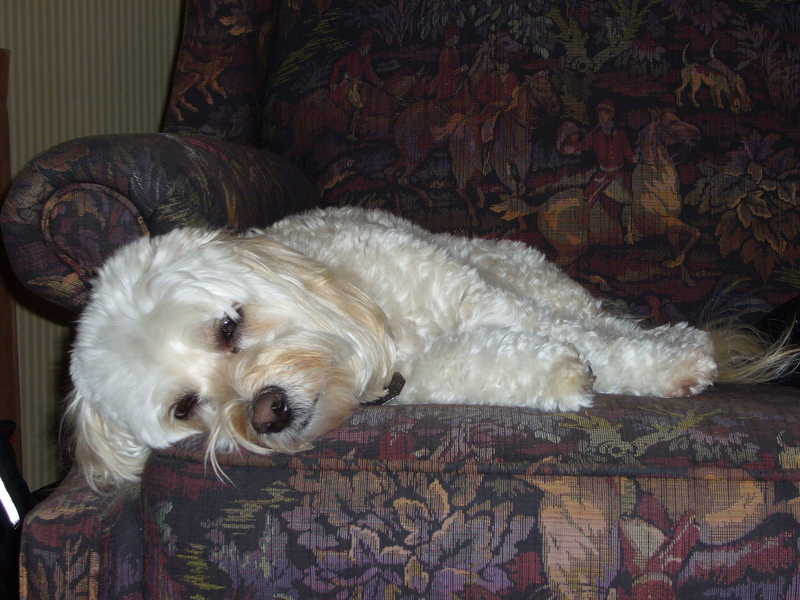 Again, it’s not like he’s lived at home for a while now, so I should be used to him being gone. For the last eight years, he’s lived in dormitories, apartments, and condos, but because those residences were deemed temporary, his home was always our family home, at least in my mind. Now he has a new house, a new place to call his home. Purchasing your first home is a huge milestone. 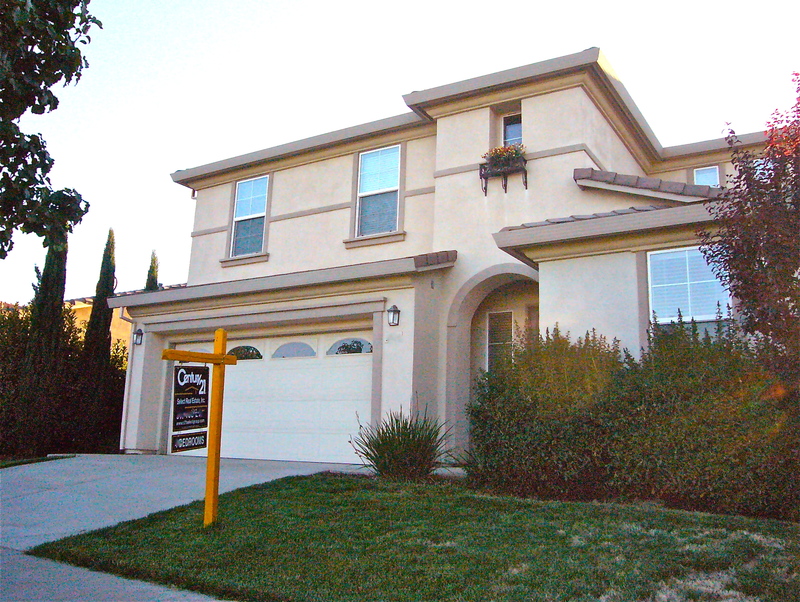 Who doesn’t remember the excitement of owning your first place? I’m ecstatic for him and his girlfriend of nine years, because I know big plans lie ahead and good things are coming their way. And having one of my children settling down not too far from our family home is this parent’s dream and consolation for the momentary sense of loss I feel. Another positive way of looking at things is that by his buying a house, I’m not losing another child from my home, but I’m gaining another room! I’ve always wanted a workroom that I could spread out and create in and now that can become a reality. The family room wet bar, once my craft area, can now go back to its original purpose. My husband, too, is regaining valuable real estate by taking two bikes and a rusty lawn mower out of our garage and over to our son’s garage. At some point in time all my children will be happily ensconced in their own homes. These rites of passage will be excitedly met by them and joyfully accepted by me and my husband. Time marches on and things constantly change, but don’t mind me, if I occasionally slip back in time and remember the way we were.